I just sent another revised version of my first book to the distribution network. The revision is a simple one where I just amended website information. My domain is long gone for now but I am planning to set up a new one in the next year or so which will again connect readers directly to this site. You may think that because I have ample opportunities to revisit the script for Planned UnParenthood that I would want to maybe add some things, perhaps do up a new chapter, but I will pass. One thing about the word business that I enjoy the most is the process of revising. I’m fairly certain that I could spend hours just revising 4 or 5 pages once I had them down. Part of this I can connect to obsessive-compulsiveness. This is the reason why I have never read both of my books again after completing them for release. I know that I would find things in them that I would want to amend. In the creative process, one can safely reach a point where a script is complete and realistically requires no revision. 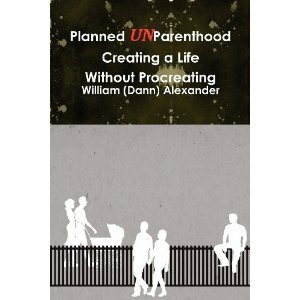 Even with Planned UnParenthood I ended up working through 4 or 5 actual revisions after a handful of copies were sold. This was more for optics in order to correct a few formatting errors which turned up in the book copy but were missed in the script file. In freelance work, revising comes down to a matter of time. If there is a deadline to meet then one cannot spend significant amounts of minutes editing everything just for the fun of it, or because it is an obsessive-compulsive behaviour. On most of my freelance assignments I will polish things up to a satisfactory point and ask the client if they want to make further edits. In most of the assignments, a rewrite is rare. Most of my colleagues will post reasons why having an editor is a positive thing. It is easy for me to agree with 99% of their reasons. I may be a rare instance of wanting to stray away from that purely on the basis of the process. A second set of eyes is truly helpful. However, the first set of eyes can learn from errors by going through the revising process multiple times on one project. In writing, the plan sometimes evolves during the actual process. Whether you choose to edit something yourself or pass it off to someone for their perspective, whatever works. I suggest allowing yourself to spend more time on revising so the end product still remains closely associated with your personal writing voice. If you want to pass along product to a second set of eyes for revising then perhaps ask that editor to keep the words within the realm of how you want them to read off the page. Many editors will properly narrow their focus on to the role of assisting with simple revising of the end result, where needed. Posted in Notes from the Frogpond.Tagged book, books, copy, editing, freelance writing, optics, page, pages, Planned UnParenthood, polish, revising, revision, rewrite, whatever works, word business, write, writing.